Increases your awareness of animal cruelty & factory farming conditions. You may decide to give up eating flesh. 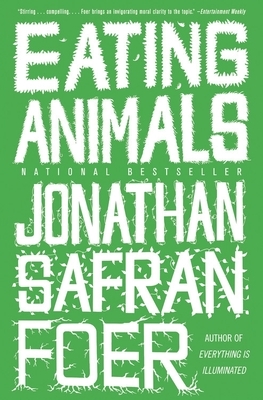 Especially if you also read the NYT article about the meat packing industry, this book may cure you permanently of eating animals. The imagery of how humans render other creatures into edible protein packages isn't pretty, isn't "humane" and it isn't healthy--for humans! terribly, and died, from heart attacks. The pigs and cows revenge!! A far better and conscionable way to go: "Eat vegetables. And less!"